I’ve decided that I want to adopt a pair of donkeys to accompany me on my journeys. I love being with animals and I love journeying, so it seems logical to get some furry friends who also like roaming in wild places! I don’t have to wait for them to get the same weeks off as me and they are not interested in shopping or going into town much, so it’s a done deal! 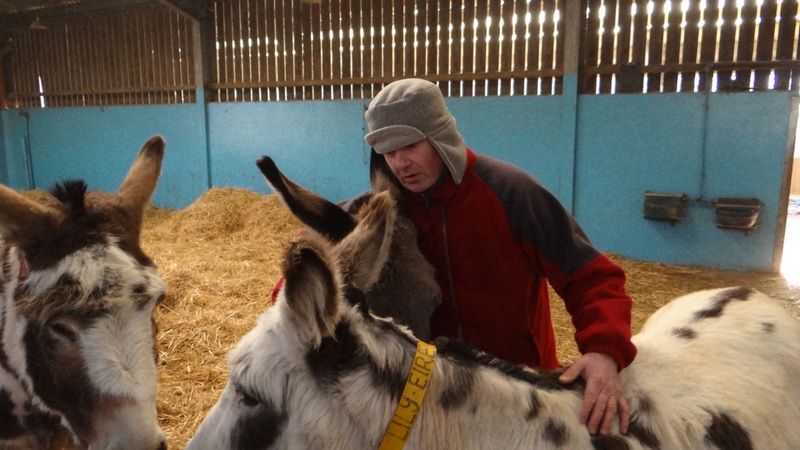 I’ve undertaken some training to learn how to care for Donkeys, through ‘The Donkey Sanctuary’, a charity founded by Dr Elizabeth Svensen. 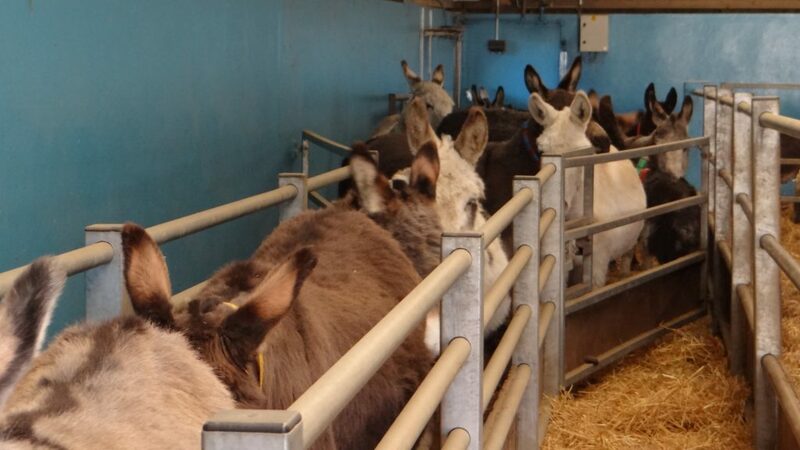 The Donkey Sanctuary rescue and care for neglected and abandoned donkeys as well as those whose owners can no longer look after them. The run courses for people who would like to adopt donkeys as pets and although I don’t meet the criteria (due to the travelling and carrying aspects of what I’ll be undertaking) they were willing to allow me to come and work on one of their farms for a week, to gain more experience around these very intelligent and compassionate creatures. I’d helped out a little bit at the charity’s Italian Donkey Sanctuary, located at Biellese, near Biella, in Piemonte, Italy www.ilrifugiodegliasinelli.org/en last year but a week long placement would give me more confidence in handling donkeys and learning to spot and treat minor ailments as well as learn more about their diet. I spent a couple of mornings helping with farrier visits. 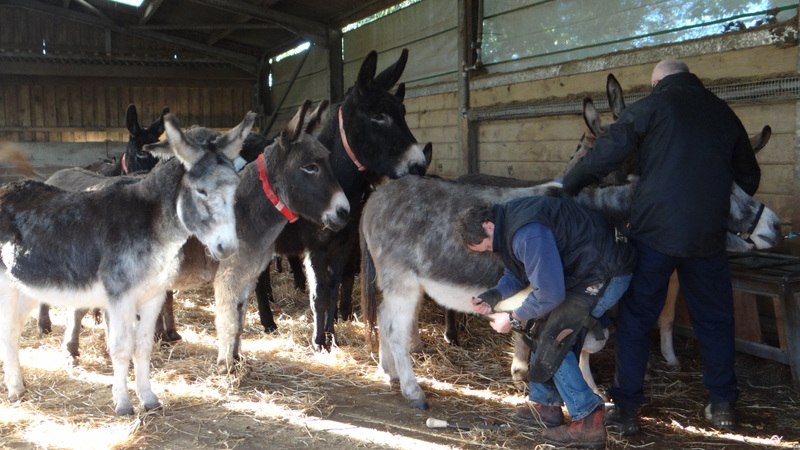 With over 500 donkeys on this farm alone, Yes 500!, the farriers have to work as hard as everyone else at the farm. Trimming hooves and detecting ‘Seedie Toe’ (sadly all to common in donkeys in the damp UK environment), Thrush and other ailments. But good practice in regularly cleaning the barns out and regular hoof picking does keep this at bay. Then there is the monthly visit for weighing, to keep on top of diets. At this time of year it’s a bit more stable as the donkeys don’t get to do as much grazing of fields as they will in the summer months. Interested in a trekking holiday with donkeys? Check out our guided walk with donkeys Tour du Mont Blanc half tour package.